Accounting is full of big, busy deadlines, which means the ability to take your work home with you could be a game-changer. But can your personal devices ever be secure enough to manage your clients’ sensitive data? 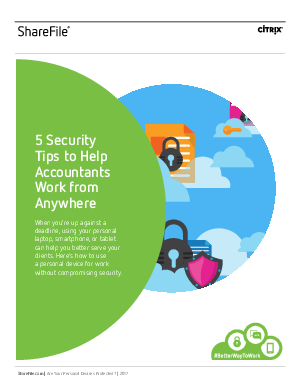 Surprisingly, this informative whitepaper shows that, with the right preparation, using your personal device can actually help you keep your firm more secure.